Are you planning to connect your BrightDots by sewing them? Great! Because this kit includes everything you need to get started, conductive sewing thread, 20 different sewing needles, and thread fixator. Why choose sewing instead of soldering? Sewing the BrightDots onto the fabric ensures that your clothing or accessory stays flexible which makes it ideal if you are using thin fabrics for your project. However, sewing is a precise job so make sure that your sewing skills are on point and that you use the thread fixator to keep loose threads from creating a short circuit. 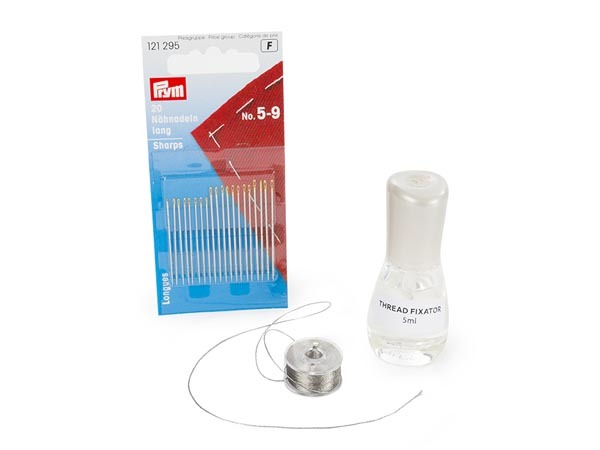 The conductive sewing thread that is included in this set has been selected by our engineers and tested by our community to ensure a good connection and a positive experience while sewing. Be sure to read all our tips and tricks concerning the BrightDots on manuals.velleman.eu! Also, check out our neat BrightDot project tutorials like the BrightDot tie!